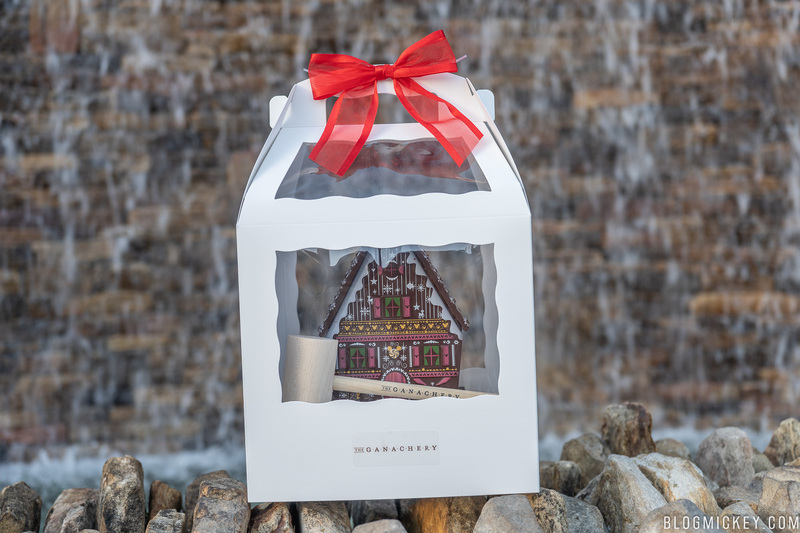 ‘Tis the season at The Ganachery in Disney Springs. Well, almost. We made it out to The Ganachery this evening to find the all-new Christmas Cottage ahead of schedule! It was supposed to go on sale November 8th, but like other parts of Walt Disney World, Christmas has arrived early. Halloween may be less than a week away, but we couldn’t resist getting into the Christmas spirit a bit early. 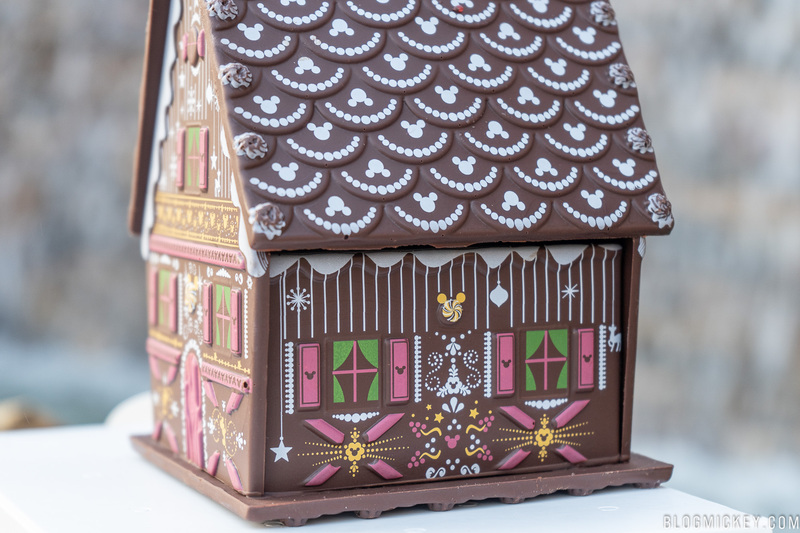 Here’s our review of the Chocolate Christmas Cottage at The Ganachery. 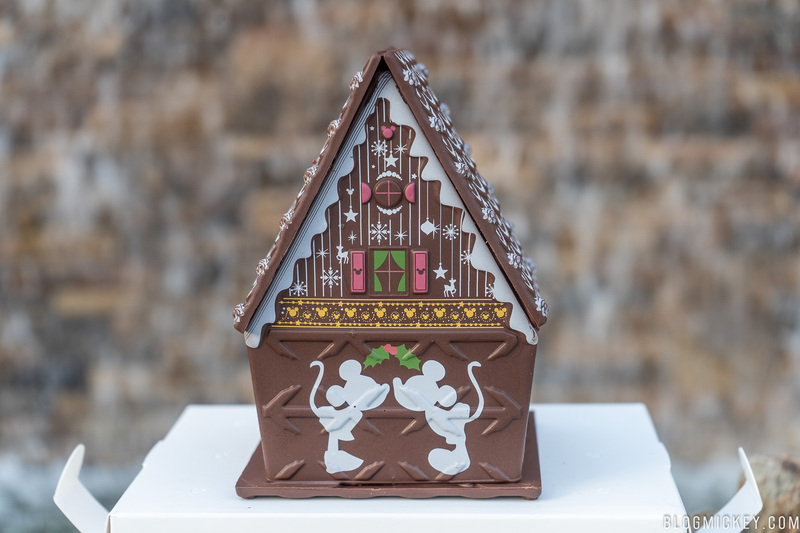 Despite looking like a gingerbread house, this contains 0% gingerbread. 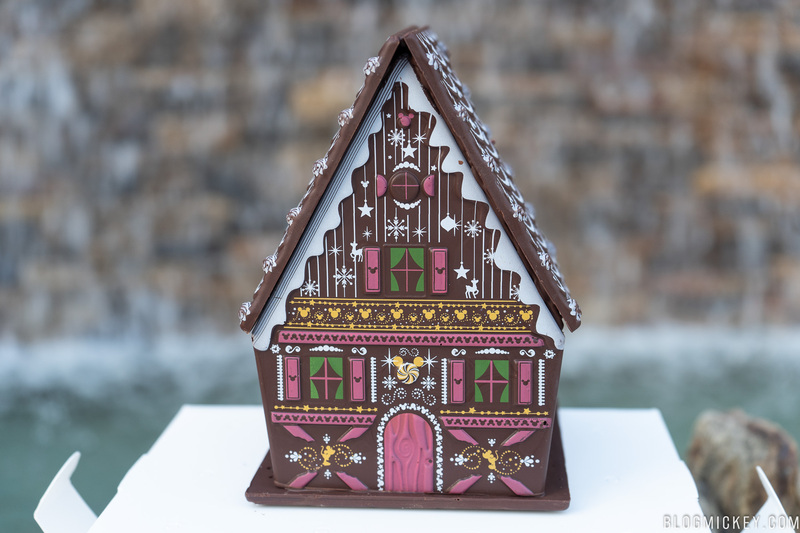 Of course, in true Ganachery fashion, the Chocolate Christmas Cottage is made completely of dark chocolate. It comes with a branded hammer for smashing it open. Don’t smash it open too soon though, as the intricate design is worth at least a photo or two! 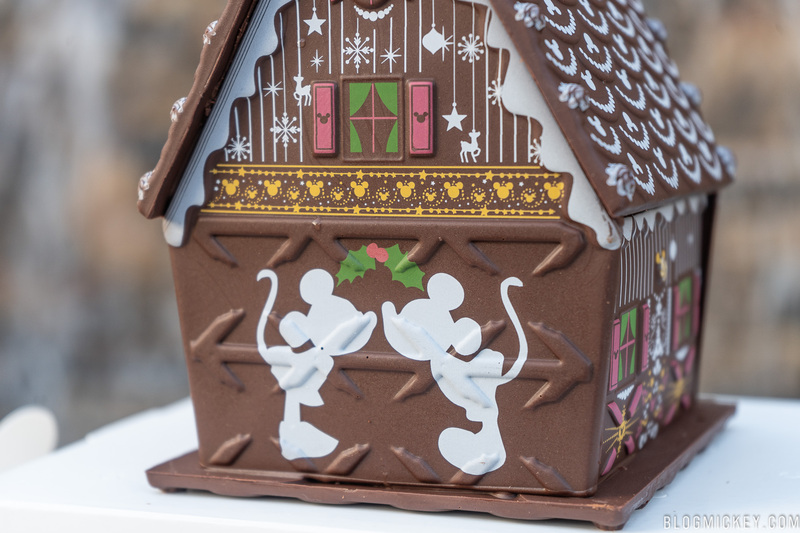 On the back, you’ll find Mickey and Minnie sharing a kiss under mistletoe! 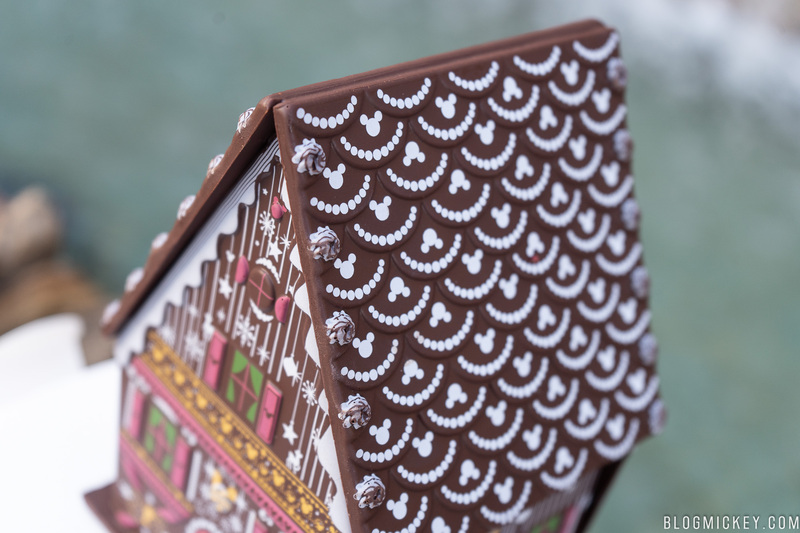 Inside, you’ll find the cottage has been filled up to the bottom of the roofline with peppermint bark. 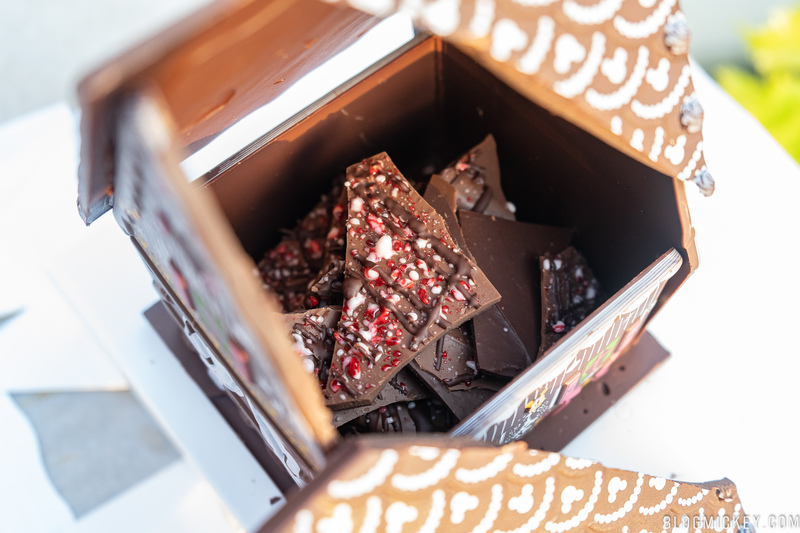 The peppermint bark is a milk chocolate and dark chocolate mix, complete with peppermint gel in addition to peppermint bits. 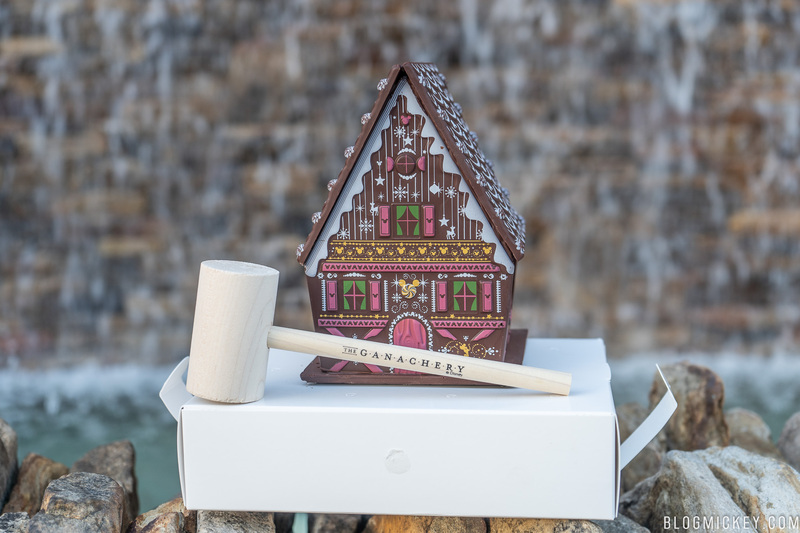 It almost goes without saying, but we will anyway: the chocolate is of the high standard that we’ve come to expect from The Ganachery. We balked a bit at the $40 price tag at first, but you have a few days (if not more) of chocolate to enjoy here. It’s still a steep price, but it’s too cute to not get, right?! 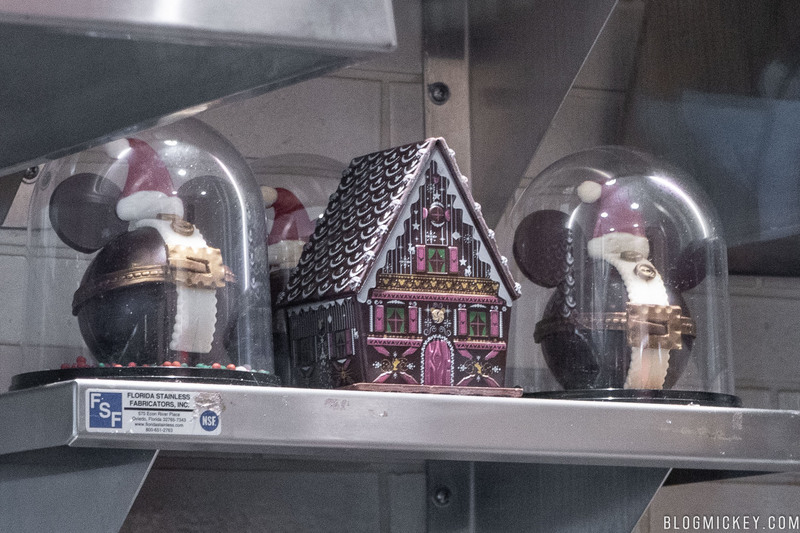 In addition to the Chocolate Christmas Cottage, we spotted a Santa Hat Mickey Pinata in the kitchen as well that’s not for sale just yet, but should be available November 8th.